Some trips are better conveyed through pictures. This is one of them…especially because Cameron takes such good pictures. and she took over 250 over these 2 days. I’ve narrowed it down…just slightly. So, this year for our Spring Break Oklahoma Tour we headed south along I-35 to Davis, Oklahoma with the Quintons and their 2 girls. 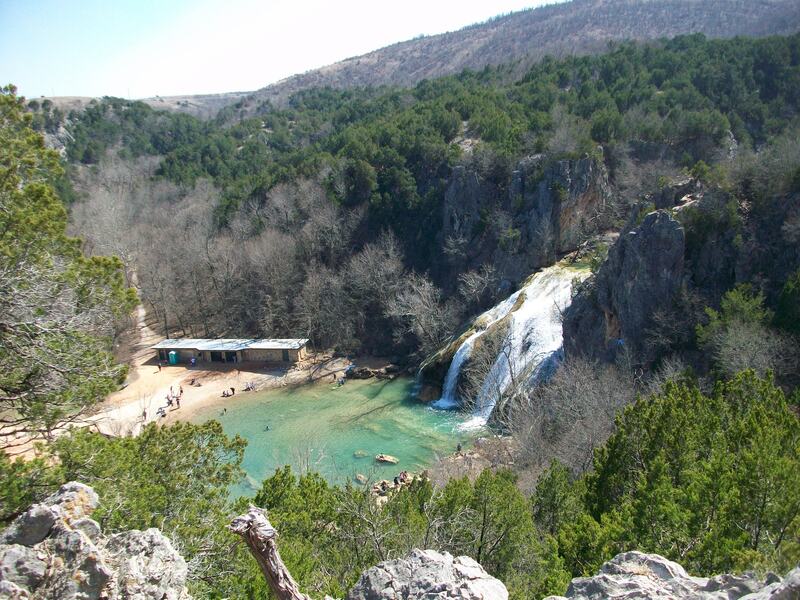 Turner Falls, natural springs, Arbuckle Wilderness, and the fascinating city of Davis were stops along the way. 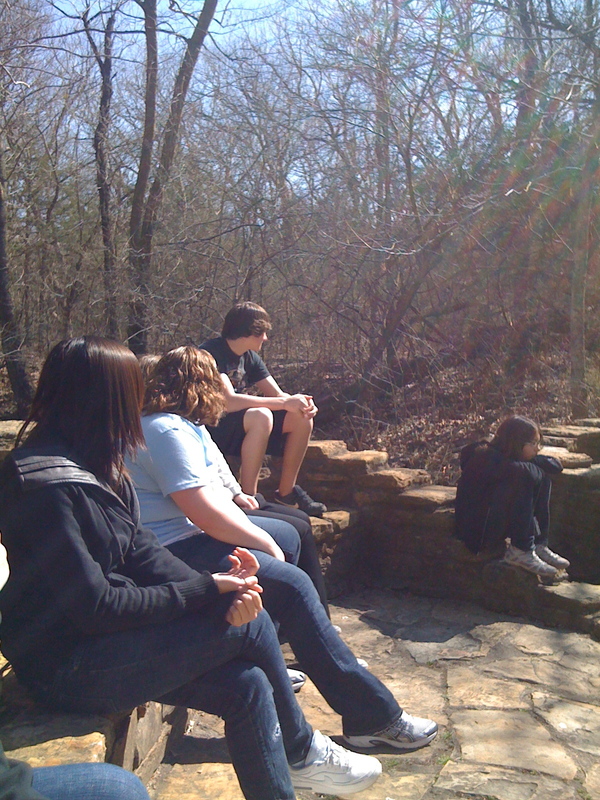 First stop, Chickasaw National Recreational Area. Lovely park, natural springs, a wildlife information center…although I think we must have missed some of it, because it looked really big on the map. 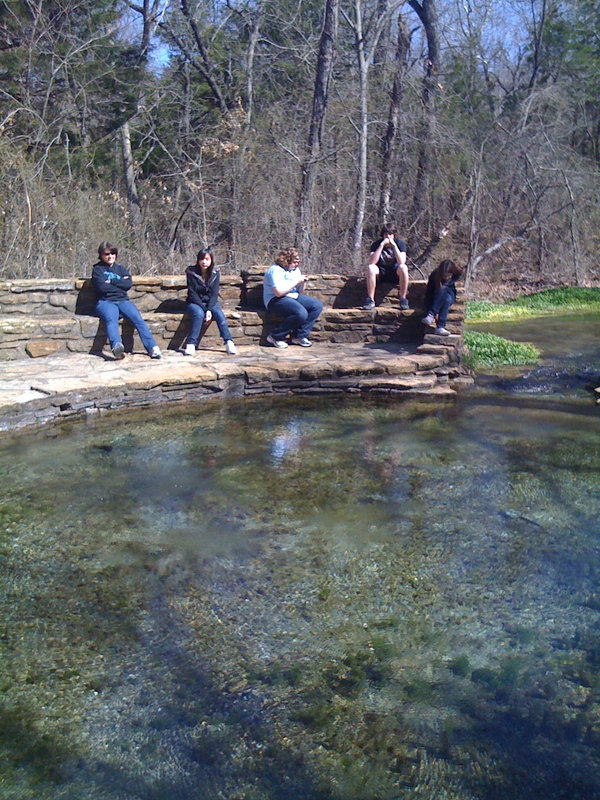 We sat at the natural spring after nearly a mile hike and just enjoyed nature. Cory’s there with all the girls, wishing we had friends with boys, too. We found this lovely picnic area with a river running through it. We devoured the chips, sandwiches, cookies, etc. that we packed for lunch and the kiddos couldn’t resist wading in the water. There were actually people swimming in the river–in March! 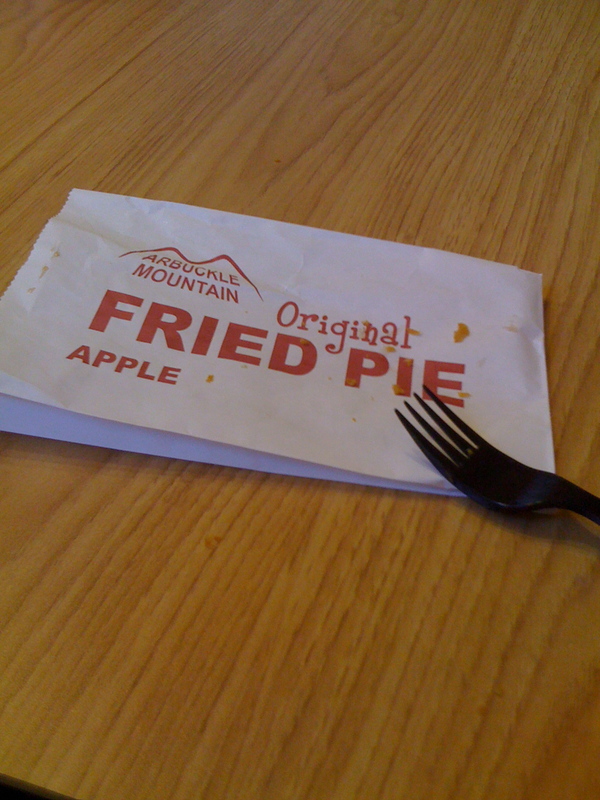 After the picnic, I think we saved room for fried pies at the Original Fried Pie place in Davis. Yum! It was a busy place—both days we went! Now that it’s finally warmed up, we needed to spend a little more time outdoors–on to Turner Falls, the largest waterfall in Oklahoma. Here’s one of 2 natural swimming pools. Again, people swimming in March. We never dreamed. We saved our swimming for the indoor, heated pool at the Inn at Treasure Valley! 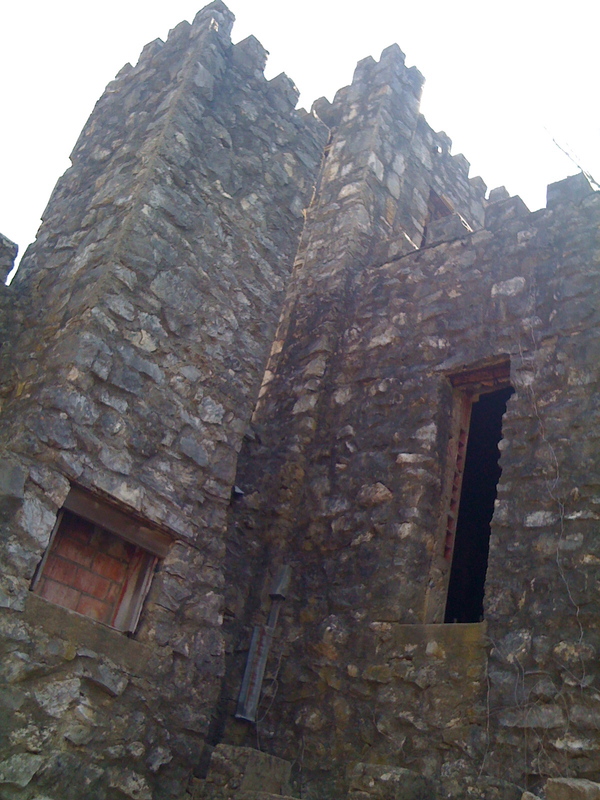 The castle at Turner Falls, built by some dude in the 1930’s. Really cool…long walk up though. The castle was really neat. Very historical, huh, Dustin? But the view from the very top, above the castle, was amazing. After walking around the area for a little while (we had to get our $3.50/person admission’s worth of site seeing in! 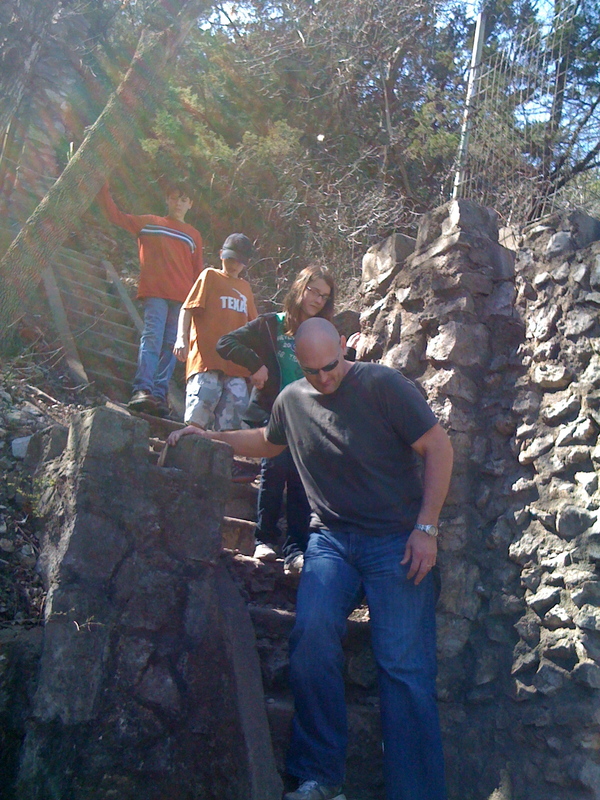 ), we headed on back to the Inn at Treasure Valley. Never mind that it was a casino Microtel, it sounded nice…and it was nice. Very clean, quiet, with a heated, indoor pool, hot tub, and dry sauna. No pictures here, you’ll have to use your imagination. The next morning, we ventured out to Arbuckle Wilderness. Some of us hadn’t been since we were kids, and some had NEVER been! What?! I know it’s crazy. The price to get in was a little steep, but we did get to see lots of animals up close and personal…some of them too close! 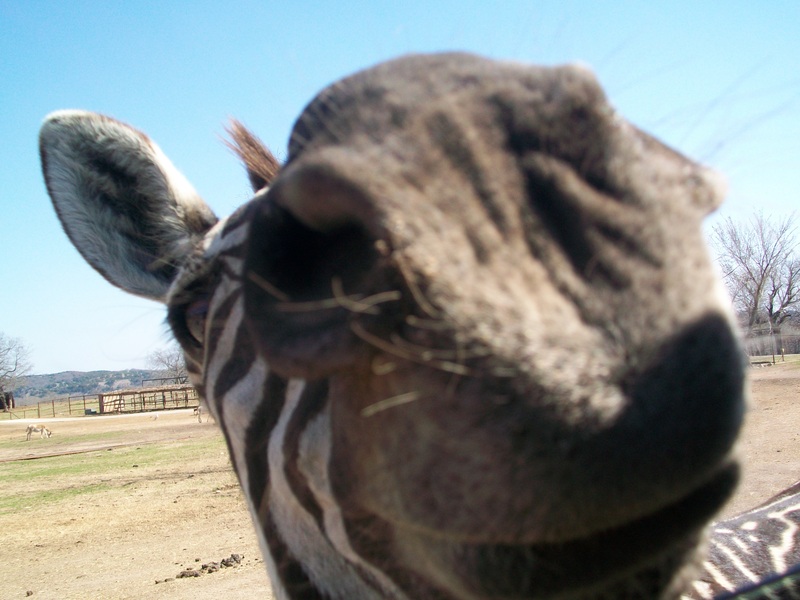 Hello, Mr. Zebra! 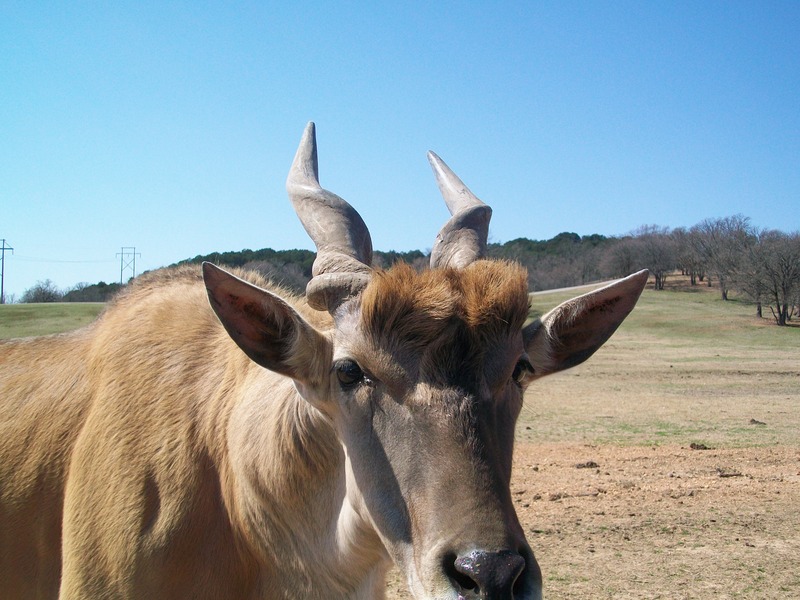 This guy had some really cool horns…and hair. I could go on and on with pictures of the animals. 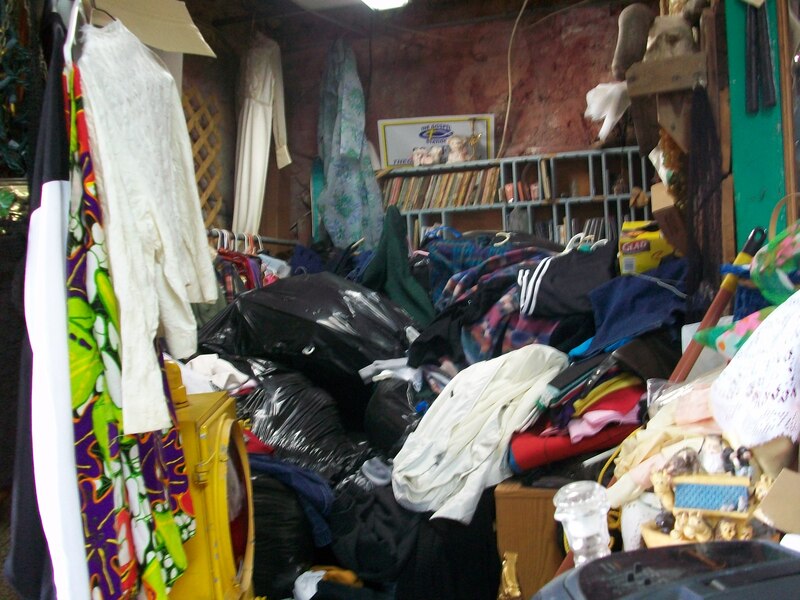 Oh…wait…here’s more. 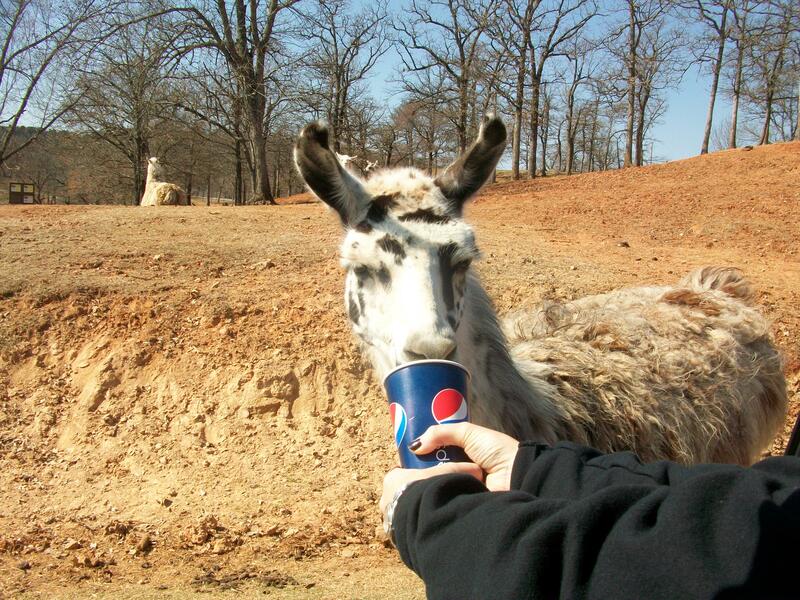 Here I’m feeding a llama named Dottie. Be thankful I saved you the video of the big deer looking thing pooping. It was a little too graphic and this is a family blog. Dustin needed more historical sites, and surprisingly enough, there just isn’t a lot of interesting historical landmarks in that part of the state. 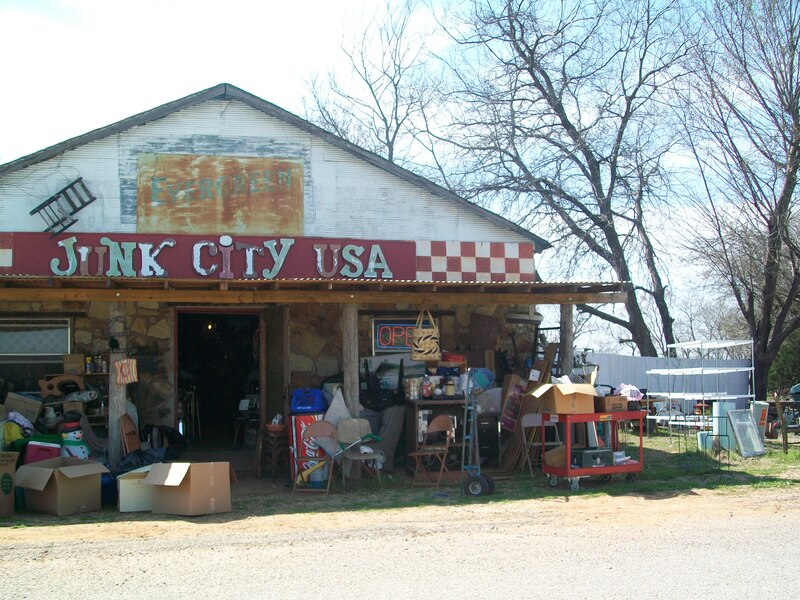 At least, none that have been exploited for tourists and monetary gain…so we had to settle for Junk City, USA. It was loaded with personal history from the locals. 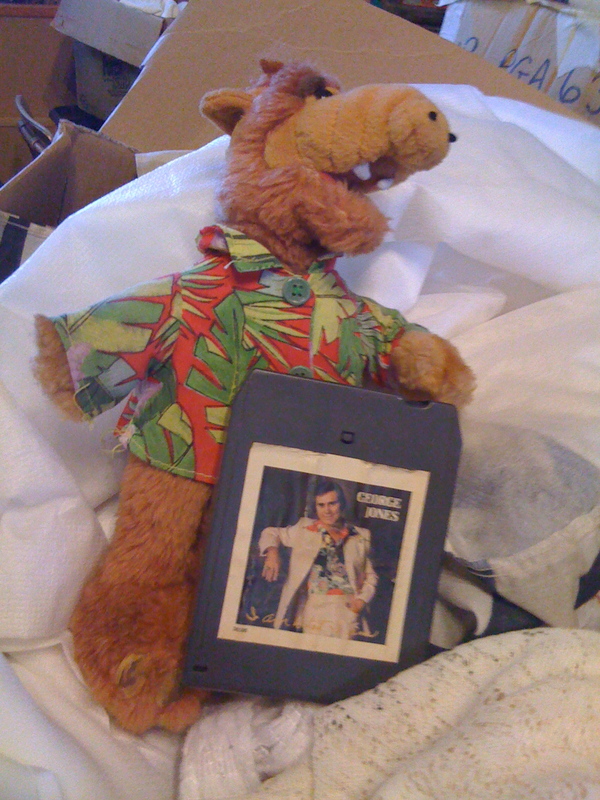 There were rotary phones, old dolls, an alligator purse (with an actual alligator head and feet on it–3D of course), Atari game systems, a 6 foot tall armadillo made from styrofoam, and mountains of other junk. Bye, Junk City. and good riddance. There’s a big record-threatening snow storm coming to the state tomorrow, so it’s time to head back north. 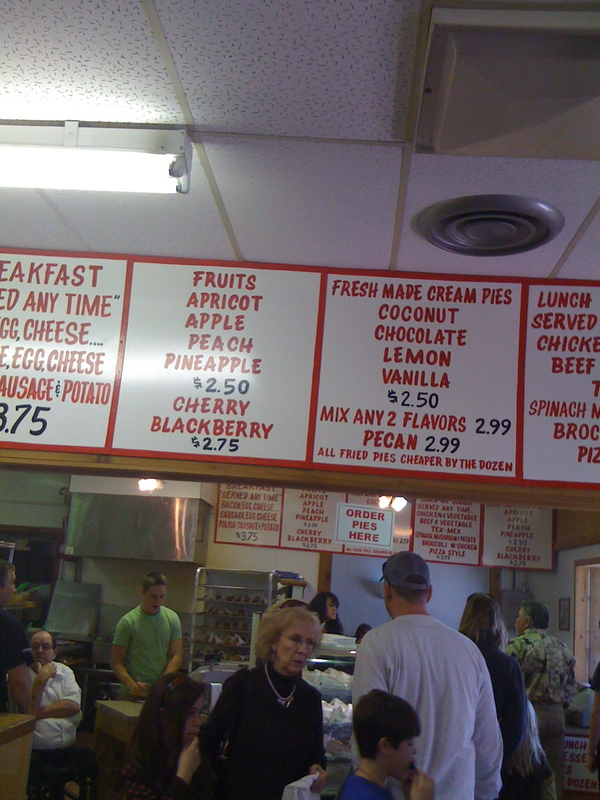 It’s dinner time, and we’re passing through Norman, OK…what to do…where to go…The Service Station, of course! Me and Kevin share this place with anyone and everyone that will accompany us. 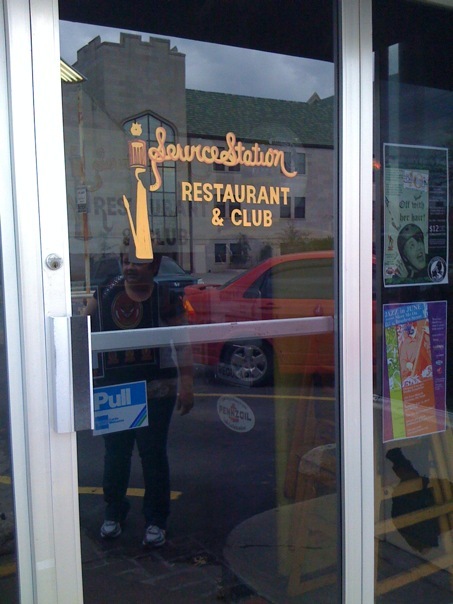 This was the spot where we went on our very first date, waaaaaay back in 1987. Great burgers and dip sticks, I mean french fries. The O rings are yummy too. Yes, all the food is named after cars or car parts. But it’s delish. 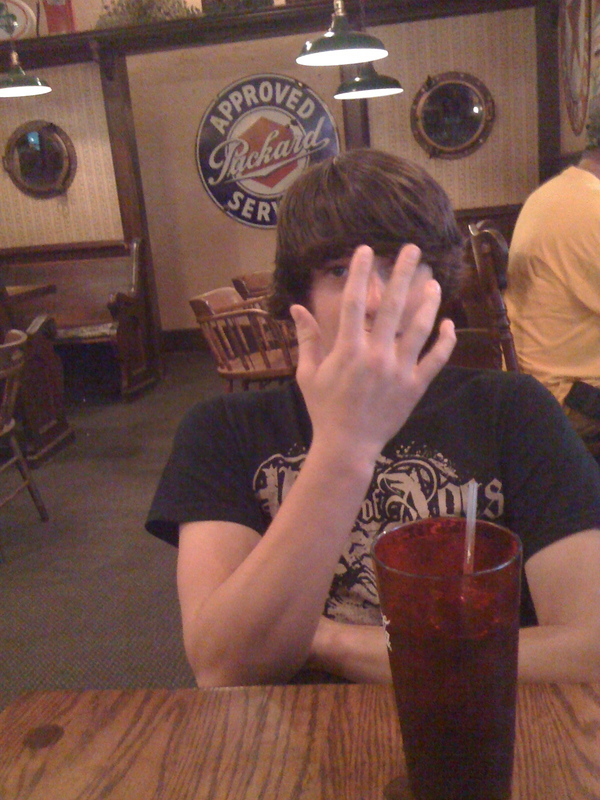 Ask this young man who’s trying to conceal his identity. Thanks for joining me on our re-trip to Davis, Oklahoma! Re-trip? apparently I enjoy making up words after midnight. Anyway, thanks for playing along. 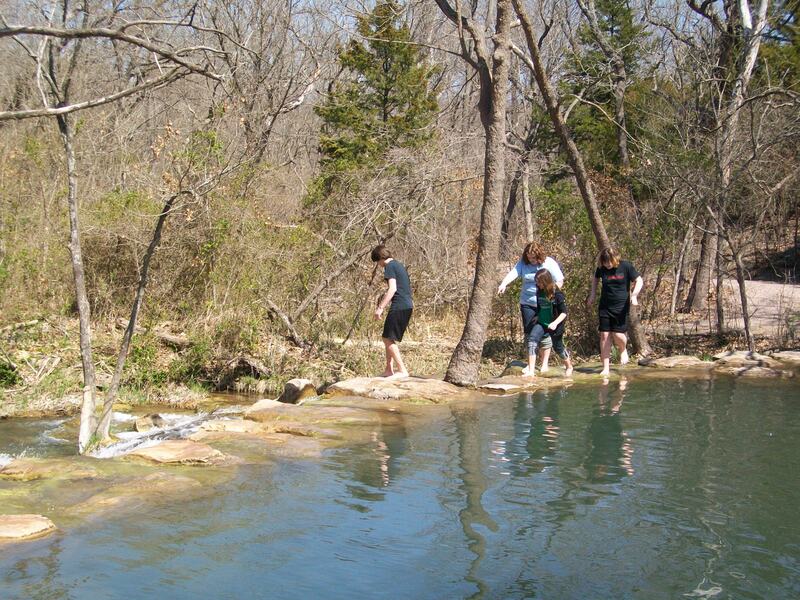 Any suggestions for next spring break’s Explore Oklahoma trip? Great photos! You met in ’87? I didn’t realize that I guess. Wow. 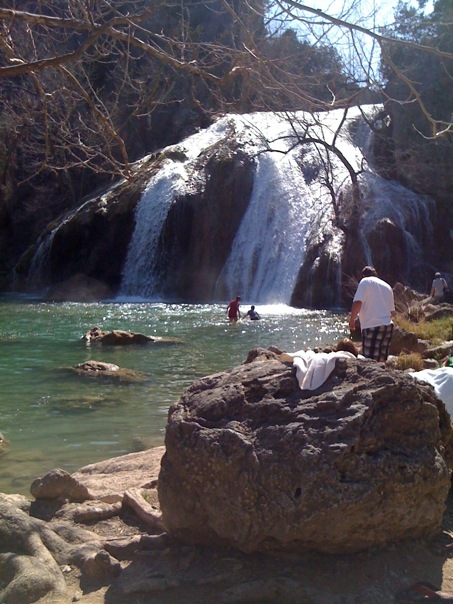 We used to go to Turner Falls when I was a kid. That was neat to see again. What’s the deal with that castle? Huh. I can’t remember if that is the place with the long long slide into the water or if I’m thinking of Roman Nose or what. I remember Arbuckle Wilderness! 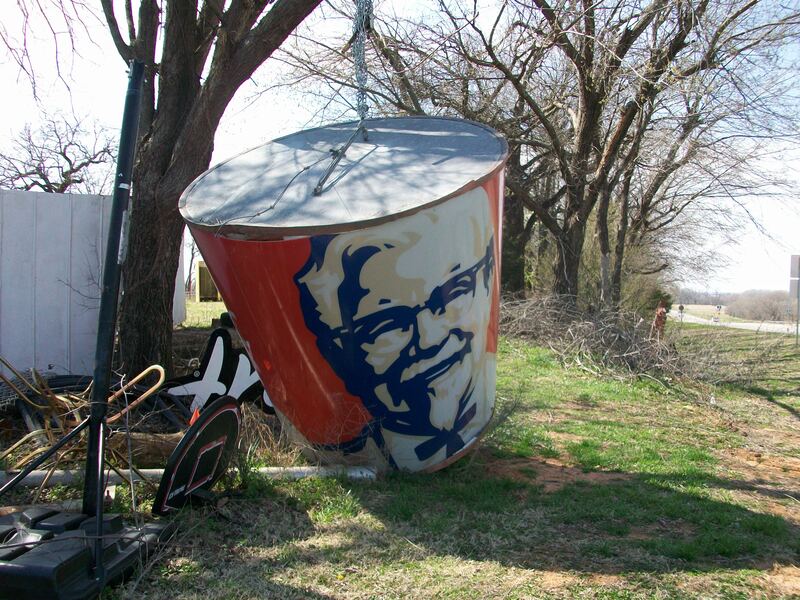 I went with you guys and my cup flew out the window. 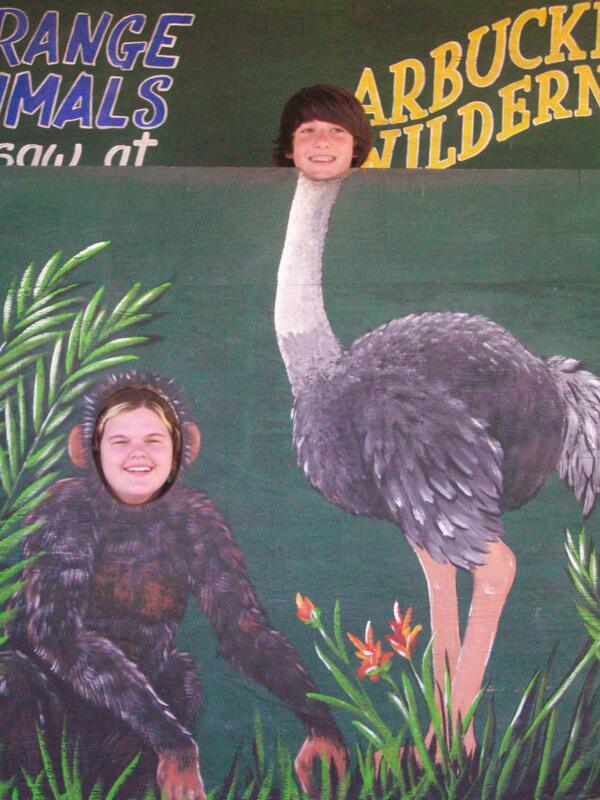 I was so upset that your mom wouldn’t let me get out with the wild animals to get it back. What a brat! Looks like you guys had a great time! You could always explore Colorado next spring break! !